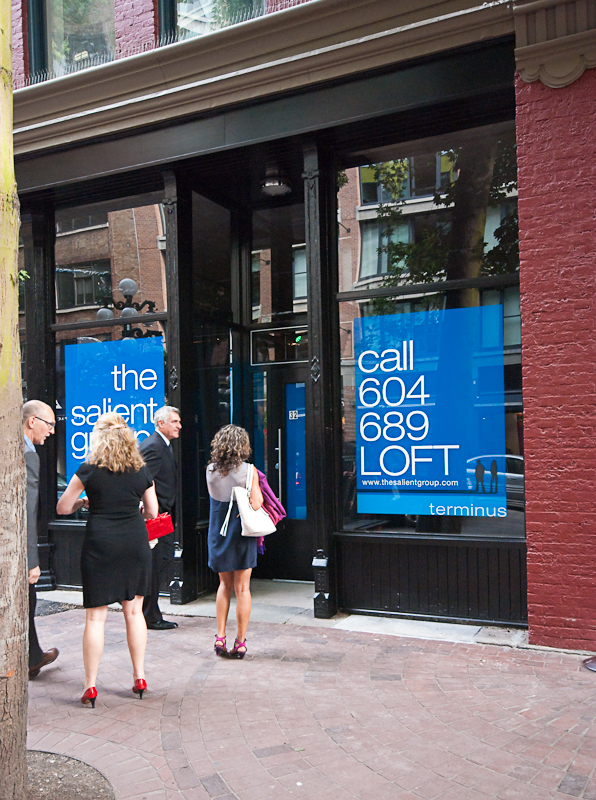 The signage for the residential homes was designed to fill the commercial storefronts of The Salient Group’s terminus buildings on Water Street in Vancouver. 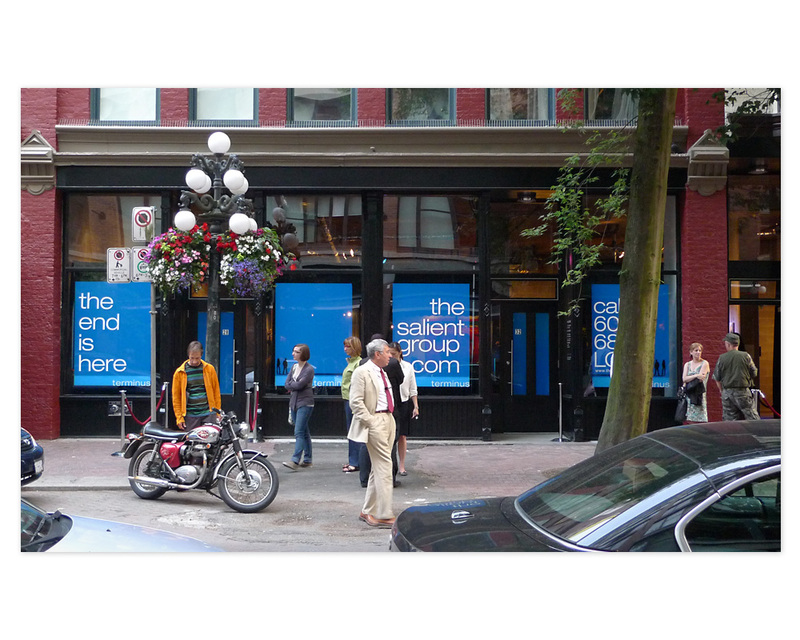 With the translucent blue vinyl covering the majority of the windows, flood lights were used at night to shine through from the inside, showcasing both the retail space as well as creating a glowing blue luminance out onto the street. 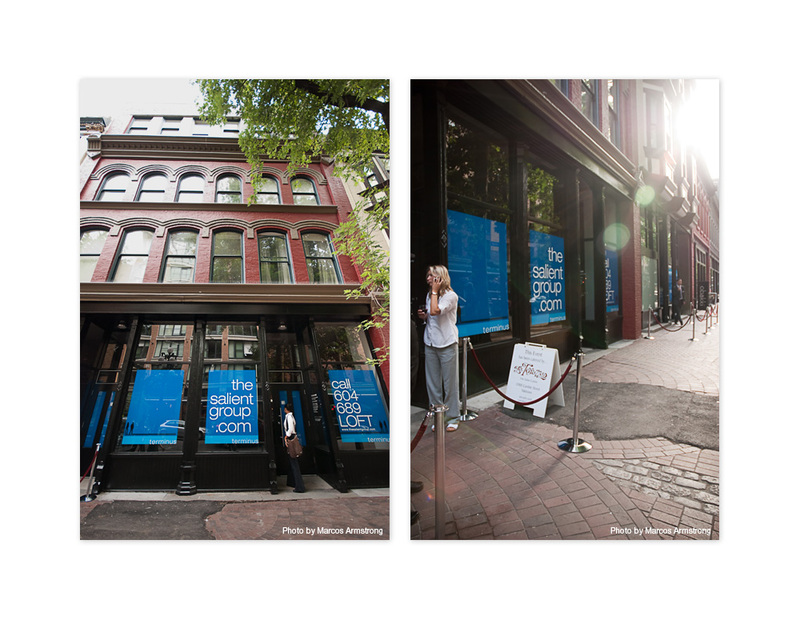 One of the windows was left blank with only a frosted white coating (shown in the second photo, on the left) where a video projection of a fly-through animation of The Salient Group’s Water Street/Gastown renovations would look once completed. You can see that fly-through animation video below. 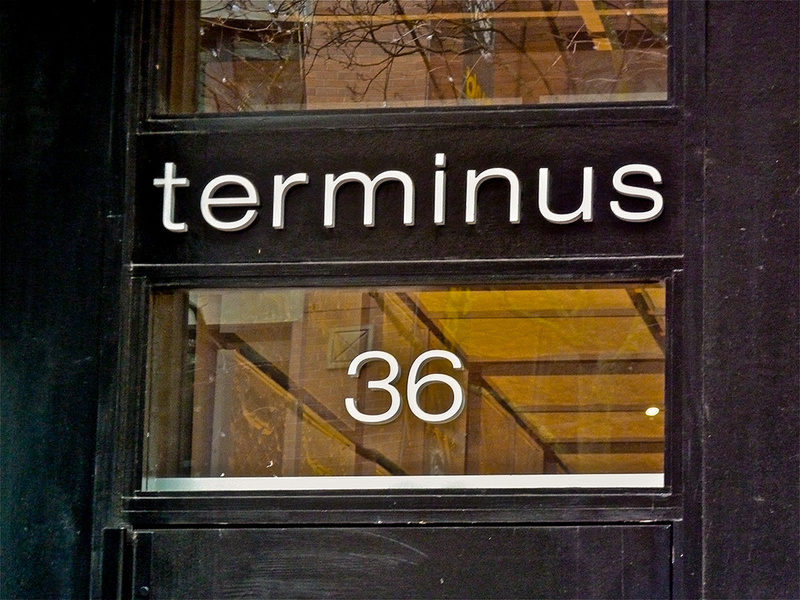 Terminus launch event with Pamela Masik. 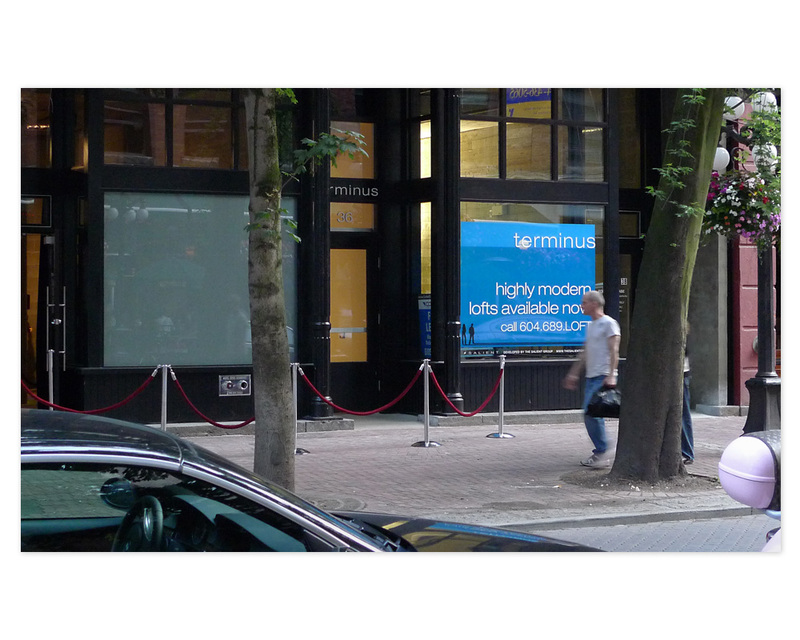 Terminus launch event with Pamela Masik. Photos by Marcos Armstrong. 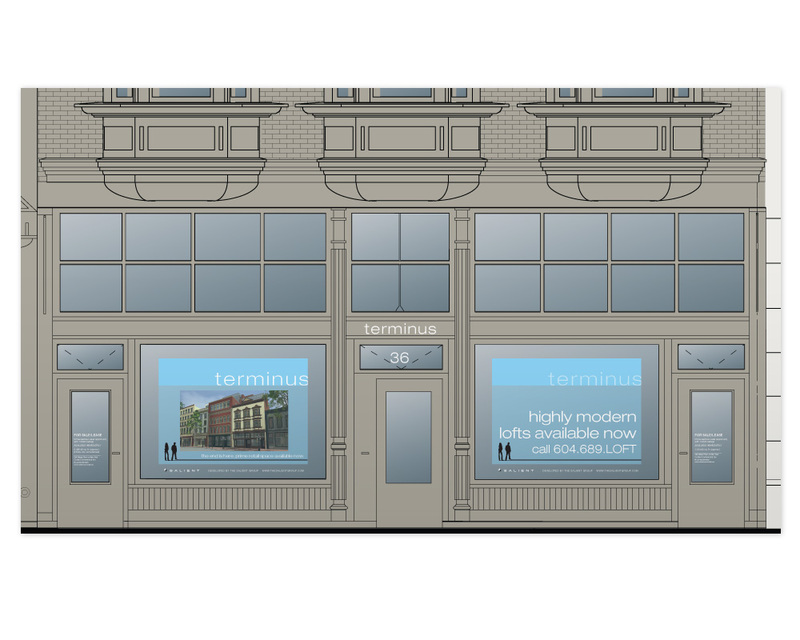 Terminus launch event with Pamela Masik. Photo by Marcos Armstrong. 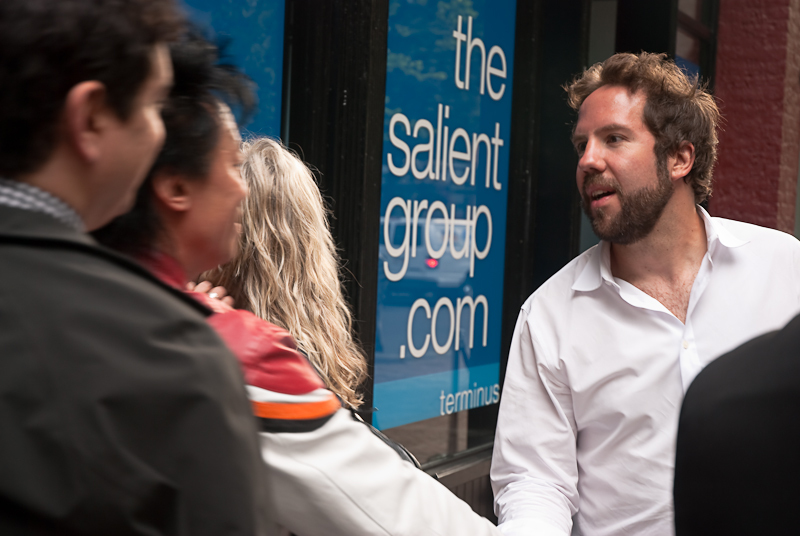 People arrive at the Terminus launch event with Pamela Masik. Photo by Marcos Armstrong. 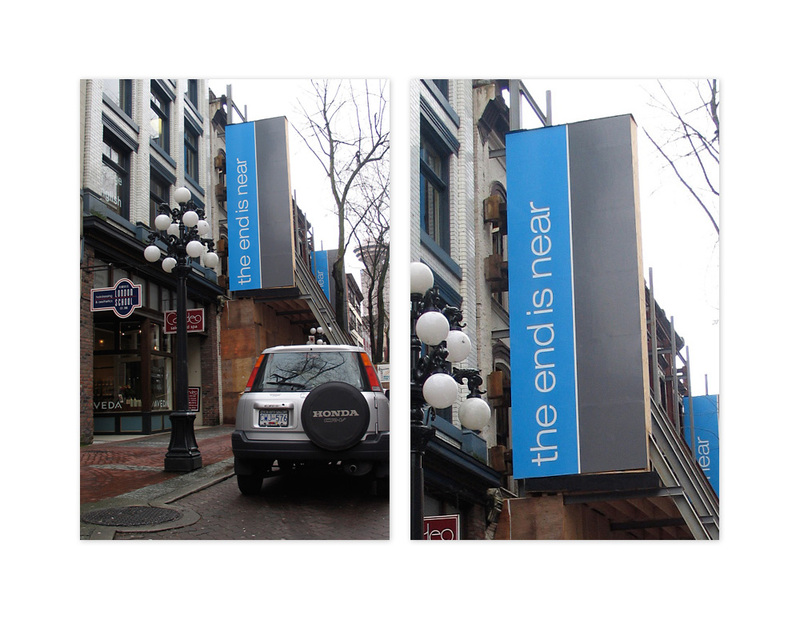 Terminus branded sign with street address that faces onto Water Street in Gastown. 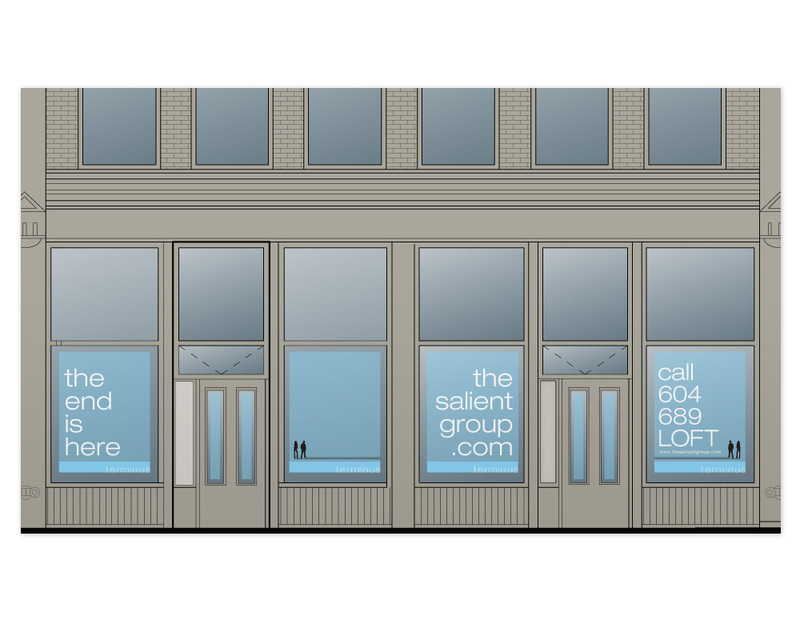 Signage concepts with the fly-through video playing in the left window. 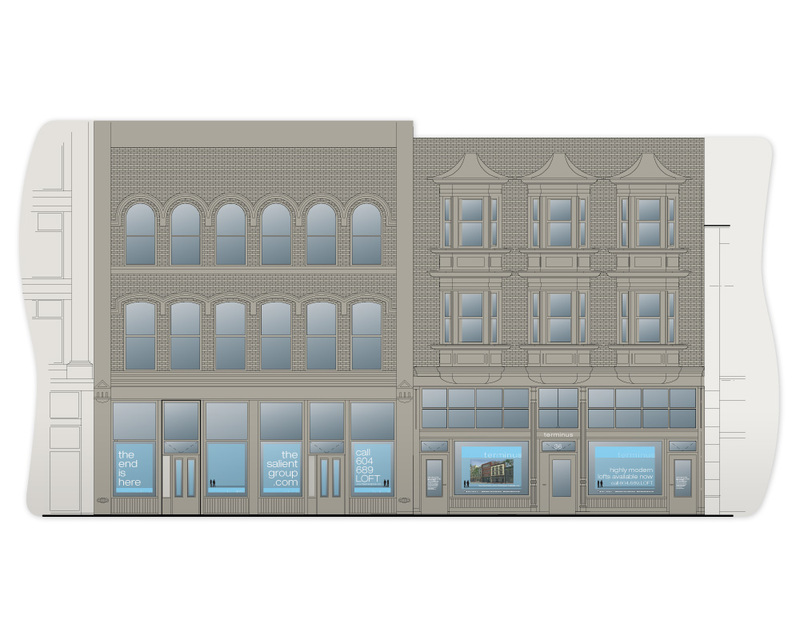 Terminus exterior fly through animation from The Salient Group on Vimeo. Fly through video by Capsule Designs. 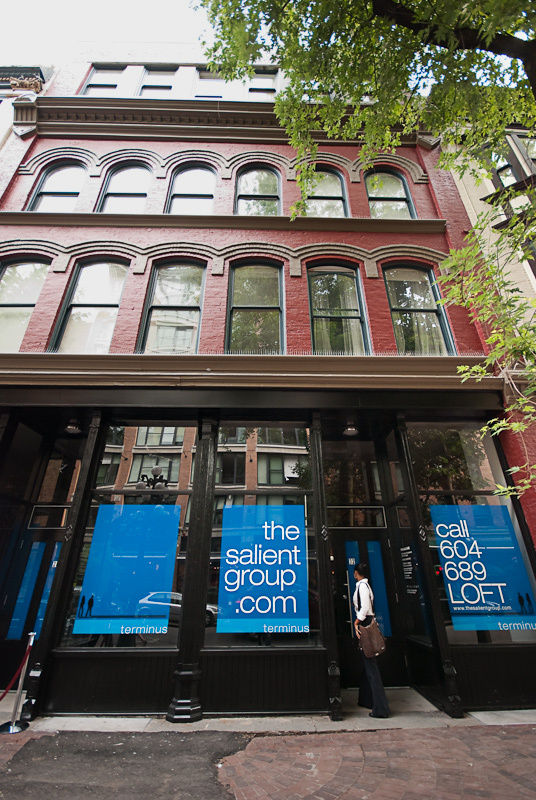 See also The Salient Group corporate website, the Terminus brochure, and Bowman Lofts website.